For the US buyers, Trax made its first debut at the 2014 New York Auto Show while the model was made available in 2015. Though Chevrolet recently shared the updated model, they once again unwrapped the revised Chevrolet Trax 2017. The range has sold over 400,000 models till date since its 2012 worldwide launch and needs no special words for accolades or introduction. 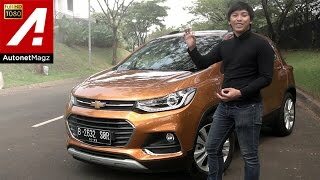 Let us have a look at the review of Chevrolet Trax 2017 to know in detail about the model. The interior of Chevrolet Trax 2017 goes a lap ahead of its predecessors. The first thing that you might notice could be the newly designed dashboard featuring the seven-inch infotainment screen. The latter gets a small overhang over it. The pad didn’t just have confine to the top but it made its boulevard till the center stack. The two corner air-vents also received a new design. Behind the steering wheel we have a redesigned instrument cluster. The integration highlights two gauges featuring engine speed and vehicle speed while the small driver infotainment screen finds its position at the lower right corner. Getting to the infotainment screen which is equipped with the MyLink infotainment system, will offer you Android Auto and Apple CarPlay support with 4G LTE Wi-Fi hotspot. 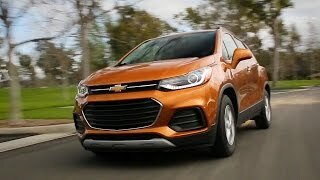 Thus rounding up the interior details of Chevrolet Trax 2017 I’ll mark the new release as a new benchmark created by the company. 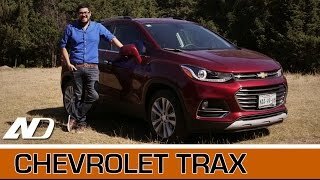 Just like the interior, exterior of Chevrolet Trax 2017 gets some cool new features. Starting with the front fascia, the model gets all new dual port hexagonal shaped grille sits amidst the set of new headlights. Beneath the setup is the pair of fog lights on either corner while the upper air dam gets the company’s emblem. Moving towards the rear end, you’ll notice the dark cladding while the rear end also gets new set of taillights. Basically it’s the lens that gets new design while the overall shape remains almost same. 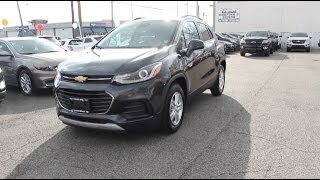 Thus rolling over the 18-inch aluminum wheels, the SUV looks impeccable and the exterior details of Chevrolet Trax 2017 commendably narrate an entirely new saga. 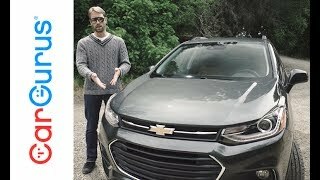 Beneath the hood of Chevrolet Trax 2017 things remain same. Buyers still get the same 1.4 liter four-banger engine generating total output of 138 hp and peak torque of 200 nm paired to the Hydra-Matic 6T40 six-speed automatic transmission. The performance figures of Chevrolet Trax 2017 are still to come and we expect them to be out very soon.